Other original obstacles to EV adoption, such as range and charging infrastructure, are gradually being overcome. A new generation of modular platforms, designed from the ground up as EVs for a variety of vehicle types (trucks and buses as well as cars), is generating strong demand. Many EV technologies are being provided by fast-growing companies outside the traditional automotive supply chain, particularly outside the U.S. The shift to fully electric cars presents a good opportunity for the semiconductor and software industries, as the value in vehicles moves away from traditional auto parts. The whole supply chain for rechargeable batteries will have to scale up massively; leaders in cathode materials, a key rechargeable battery component, expect substantial demand growth. In 2016, we argued that EV sales had the potential to grow much faster than many assumed. As battery costs continued to decline, given the speed of improvement in lithium-ion technology, manufacturers would be able to offer competitive EVs in a growing number of market segments. We were right: sales grew faster than expected, and the EV production outlook has become more optimistic. Europe, the U.S. and particularly China are leading the way. Between 2015 and 2017, global EV sales expanded at a consolidated annual growth rate of over 50 percent, reaching 1.1 million. (Source: Bloomberg New Energy Finance). The International Energy Agency (IEA) predicts the global EV stock will reach 130 million in 2030, up significantly from its 58 million “base case” forecast published in 2017. We suspect EV sales forecasts will continue to be revised upward in the future. In addition to cars, electric city buses, delivery vans and utility vehicles have witnessed strong sales growth. E-bus purchases may soon become economically justifiable, even without subsidies. E-buses have much lower operating costs and are cheaper on a total cost of ownership basis than conventional buses in some regions. Several cities in China and Europe announced ambitious electrification plans for their municipal fleets. In October 2017, 12 cities signed the C40 Fossil-Fuel-Free Streets Declaration, pledging to procure only zero-emission buses from 2025 onward. The EV powertrain is also expected to be adopted across commercial truck platforms, which was not in mainstream forecasts two years ago. Trucks are large consumers of diesel fuel due to their high weight and mileage driven. Most of the plug-in electric models introduced so far are light- and medium-freight trucks that operate in urban and suburban contexts. The largest market is China, where companies such as BYD offer electric utility trucks for municipalities. More electric heavy-duty truck models are being developed. Tesla announced its Semi model and Daimler has announced series production of its heavy-duty truck as of 2021. According to Tesla, its Semi will provide $200,000 in annual fuel savings and a two-year payback period. The perception that EVs are lower quality may have been true in early models, as electric powertrains were forced into chassis designed for ICEs. A new generation of modular platforms, designed specifically for EVs, should address these concerns. Volkswagen’s new EV platform, MEB, is more efficient and less expensive. With flat-shaped battery design allowing for a flat floor and a roomier-than-normal cabin, VW intends to leverage MEB over several EV models. Several new attractive EV car models are coming to the premium end of the market. After Tesla’s S and X models captured significant premium segment market share, competitors responded with the Porsche Taycan, Audi e-tron, Mercedes EQC and Jaguar I-PACE (already available in Europe). These new premium cars promise good driving ranges, fast charging capabilities and attractive specifications, such as good handling and quick acceleration. As the rate of disruption and innovation increases, successes in EV manufacturing and sales also should lead to opportunities in new areas – parts, materials and adjacent industries, for example – for companies that did not previously have material exposure to the ICE car drivetrain. Yet it all comes back to batteries: costs should continue to improve, mostly due to changes in the number and scale of factories, sizes of the batteries installed in cars, and improving chemistry. 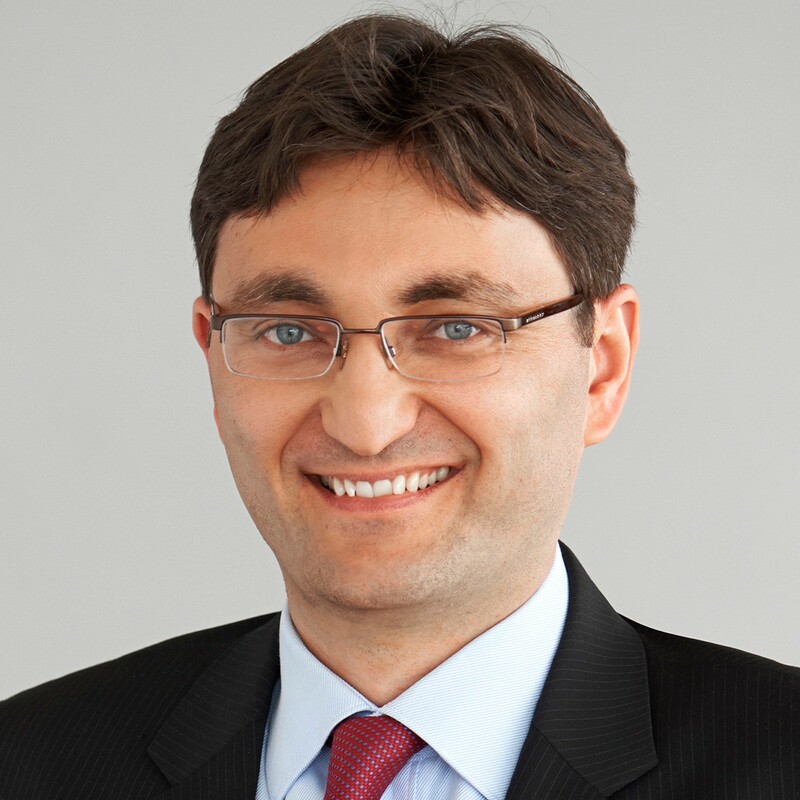 Pawel Wroblewski is a Portfolio Manager at ClearBirdge Investments, a subsidiary of Legg Mason. His opinions are not meant to be viewed as investment advice or a solicitation for investment.